Designs include a skating penguin, sledding snowman, skiing bear, snowboarding rabbit, bobsled team, and a reindeer. 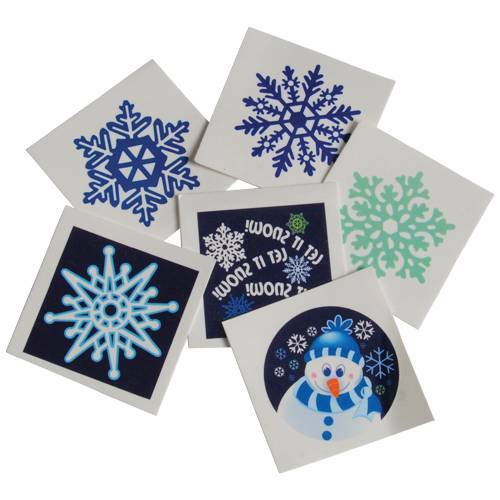 Kids love to wear these temporary tattoos and now they can celebrate the Winter Season in style with these fun winter character designs. Use these in party favor bags for your next office holiday party or hand them out during a Classroom holiday party. Both adults and kids will have fun with these party favors at your next holiday event. Want ideas for inexpensive stocking stuffers? 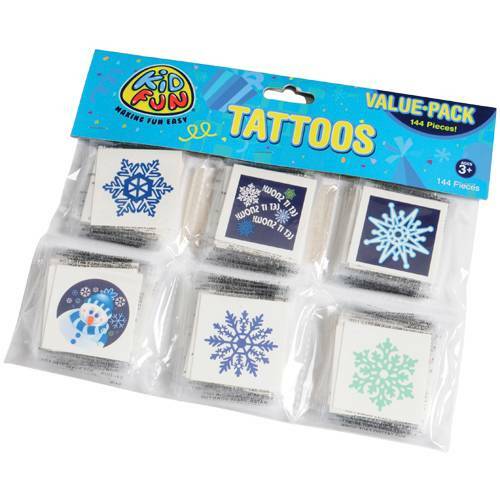 Then look no further than these Temporary Winter Tattoos. Check out our other Christmas novelties and favors for economic gifts and more! Stock up on all your Christmas supplies with US Toy.